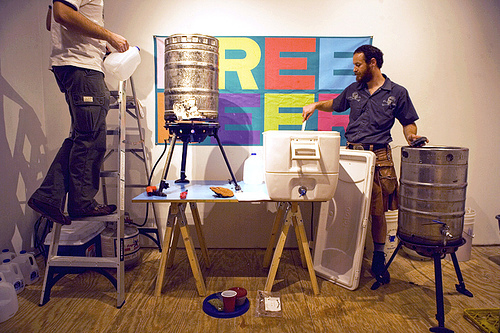 FREE BEER 3.3 is brewing this very moment in Copyshop, Knoxville, Tennessee. Version 3.3 is brewed using the version 3.0 recipe, but with added mushroom! FREE BEER 3.3 is made in collaboration with Everything Mushrooms, local Knoxville home brewers and mushroom aficionados.